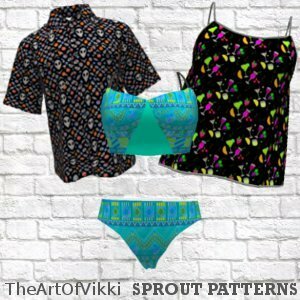 Digital Art created for my Print On Demand shops is where my love of vivid color and quirky sense of humor really have some fun. I do love the smell of acrylic paint in the morning, but there is something very soothing about taking a rough pen drawing and morphing it, pixel by pixel in a graphics editing program, into a piece that might end up on a pillow or a humble coffee mug. And really, is there any higher honor than being there for someone's first cup of java in the a.m.? 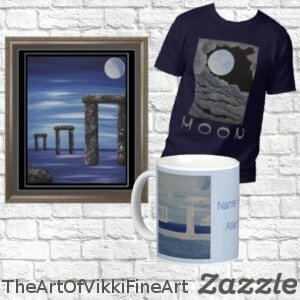 POD companies that work with independant artists offer one of a kind artwork on various products in virtual form just waiting to be ordered. If you adore a coffee mug with a particular design, that mug is not printed until you buy it. So if you are looking for original artwork that cannot be found anywhere else in the world for not only yourself but also as special gifts, POD is a fun shopping option. The artist creates the piece and each POD company handles everything else so if you have questions regarding manufacturing, your purchase or shipping times, please contact that company directly. 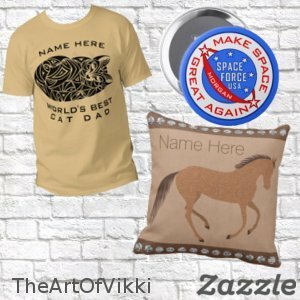 For personalized gifts that are truly unique, Zazzle is king in my book. There is no other POD that allows the level of personalization for the customer that Zazzle does. 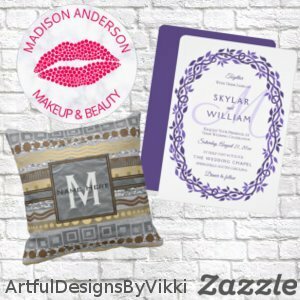 Many artists on Zazzle allow thier products to be customized completely, from changing background colors to adding text like a name, personal message or full on text templates for wedding suites and invitations. 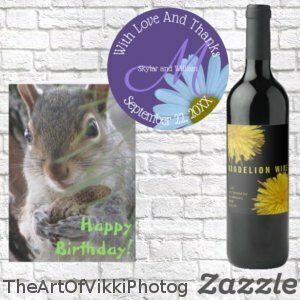 I currently operate four shops on Zazzle - the main store The Art Of Vikki established 2011, a new store Artful Designs By Vikki where I am having fun with patterns and weddings, The Art Of Vikki Photography where I am an artist with a camera and The Art Of Vikki Fine Art for a limited number of products featuring my acrylic paintings on canvas. I have been with Redbubble since 2015 and really enjoy the designer experience on their website. 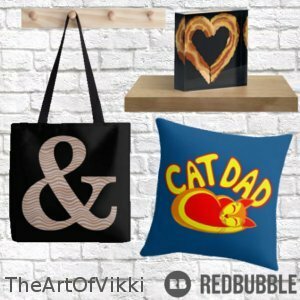 While Redbubble does not allow customization by the customer, I have created a series of colorful decorative letters which are some of my best sellers and offer personalized products in the form of a unique monogram initial on a variety of items. 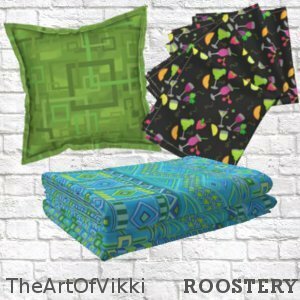 Curioos and Spoonflower, along with it's sister sites Roostery and Sprout Patterns, are more recent additions to my Print On Demand shops. 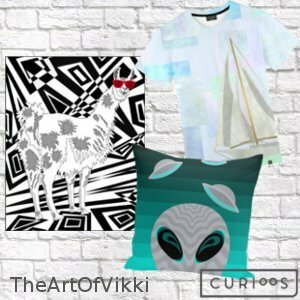 I love Curioos for it's unique round disc art prints, allover print shirts and limited edition fine art options. 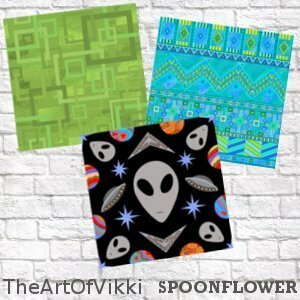 Spoonflower is strictly designer fabrics and I am fascinated and hyptonized when creating repeat patterns and surface designs for these fabrics. Each of my original designs is usually exclusive to that particular POD company, ensuring a truly one of a kind piece. I do sometimes offer a design on more than one sites, but more often than not they are often altered and re-worked in some way in order to keep that exclusive feel.